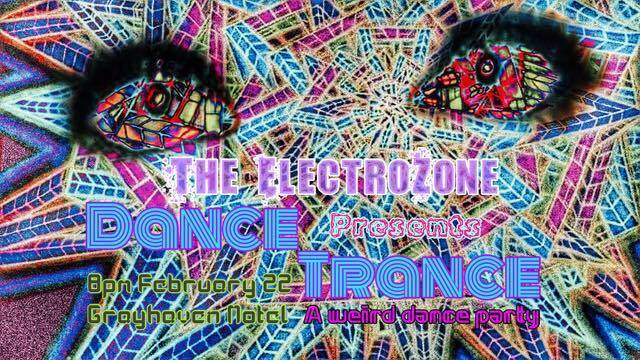 Close out the month of luv with your luv of dancing as the ElectroZone brings you a night of the fantastic beats. Featuring: Zalatan, Stepwriterun, Electric Dog Dream, and Delivery System! Zalatan: brimming with melody and dreamlike imagery! Stepwriterun: original, live improvised techno drawing on influences from Berlin, Detroit, and Chicago techno, acid, and dub techno (think Phuture, Octave One, Gaiser, Plastikman). I go where the music takes me in the moment and no show is the same. You can find songs and DJ mixes on SoundCloud and Bandcamp under “Stepwriterun” and Traktor DJ sets as Jason Leifer on Mixcloud. Electric Dog Dream: Rob Snyder, performing as Electronic Dog Dream, is a musician, technologist, husband, and father living and working in Ithaca, NY. The music of Electronic Dog Dream is based heavily in the re-purposing of natural and ambient sounds into dark, sometimes uncomfortable, and for this performance danceable, soundscapes. Delivery System: Scott Paczkowski is a synthesizer enthusiast living near Ithaca, New York. He is a member of the Synthetic Music Collective and plays regularly at their monthly Synth Night. Pads, sound effects, strings, and basses as his favorite and his inspirations are early autechre, BOC, Jonas Kopp, Markus Suckut, Johannes Heil, AFX, early Hawtin, video game music, and similar stuff in the vein of late 90’s IDM and contemporary techno.